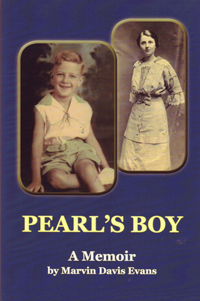 In his book Pearl's Boy (2010) Reverend Evans, a retired Unitarian minister, reflects back on his life of more than eight decades. From his childhood in rural Virginia, his career as minister that took him to Seattle, Boston, and back again to Seattle, his son's friendship with a young Bill Gates, all the way to caring for his terminally ill wife at Wyatt House on Bainbridge Island, this is the story of a life lived fully and, despite family tragedy, a life rich in optimism and faith. Inspiring read.